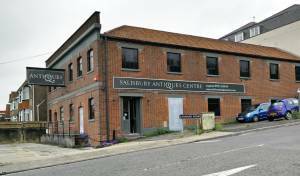 With over 20 dealers displaying in over 14,000 sq ft of showrooms; Salisbury Antiques Centre is now the largest antiques centre in the South West of England. Items displayed range from English & Continental Furniture, Clocks, Fine Art, Decorative Items, Sculpture & Bronzes, Arms & Armour, Glass & Porcelain and Silverware. Please enjoy browsing through our website and feel free to contact us should you have any questions.